We're already one week down in the One Room Challenge! 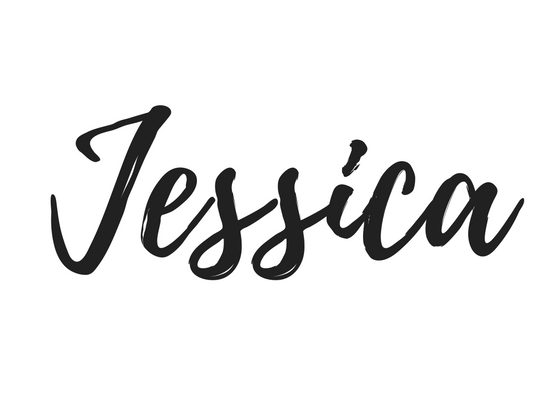 If you missed last week, you can catch up on the first week's post here. 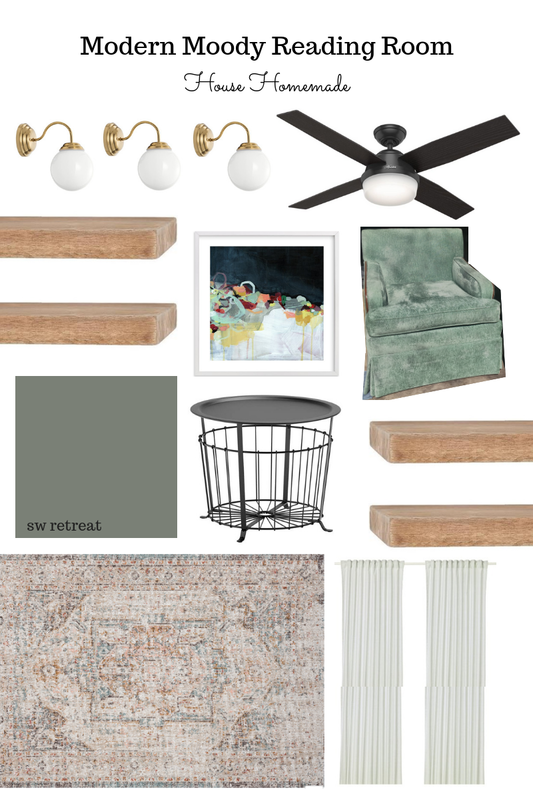 And here's the design board to give you a refresher of my plans for the space. *make sure and follow all that's happening with the ORC here. This week we got the room painted the most wonderful shade of blue-ish, greenish, grey. It's Sherwin Williams "Retreat", A beautiful color. I highly recommend it. This is the view of the room while standing in the entry way. And this is the view from the kitchen. I love how the color looks different from either side. And I LOVE the way the coral door looks with the room. It makes me giddy, yall. My original plans did not include painting the ceiling but I really wanted this space to feel relaxing, calming and cozy. Painting the ceiling the same as the walls gave it that vibe. This week I also painted the trim...everything except for the slats in the shuttered doors. I'm still figuring out a plan for those. I'm thinking a solid panel in each of the 4 louvered parts. Thoughts? See the 3 big patches on the floors? Those are from foundation work a few years ago. I knew they were somewhere in the center of the house but I forgot until I ripped up the carpet. They'll be mostly covered by the area rug and I'd rather a house that isn't sinking so I'm not worried about them. A bestie helped me assemble the TARVA dresser from IKEA. She's a genius. 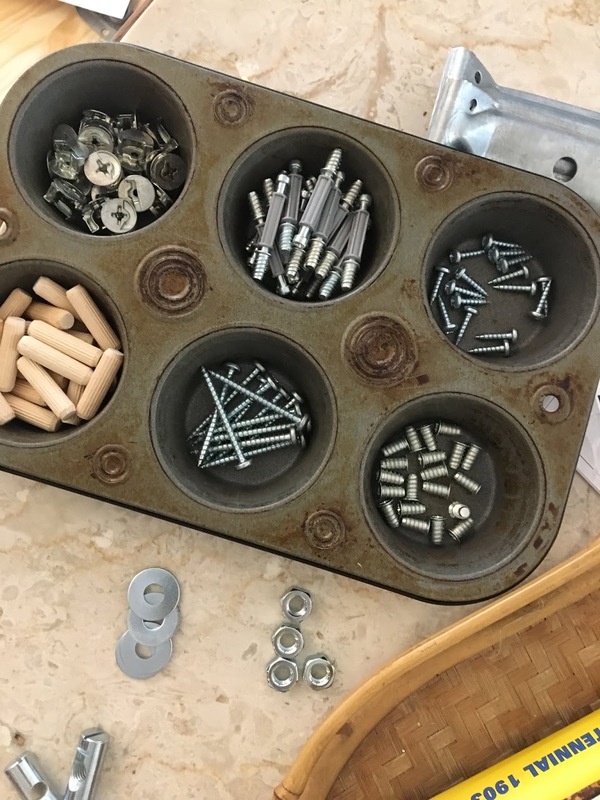 Do yourself a favor and take a few minutes to separate all the tiny pieces into separate sections of a muffin tin. Mind blown. It made construction go more smoothly. Melissa, you're the best! 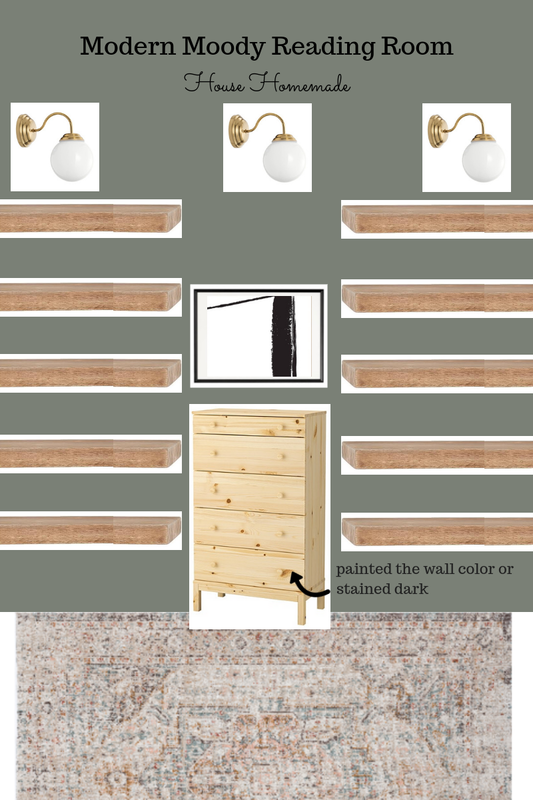 I plan to create drawer pulls that will make it look like the Gemini dresser from West Elm. I'm hoping to have that IKEA hack for you in the next couple weeks so be on the lookout. I could pull so much of the space together already but the shelves are going to be the best part. My husband is still working hard on those. We're gluing the trim pieces on each, now. I'm hoping to be in the beginning stages of hanging them by this time next week! It's coming along!! A big thanks, again, to the sponsors for our room. 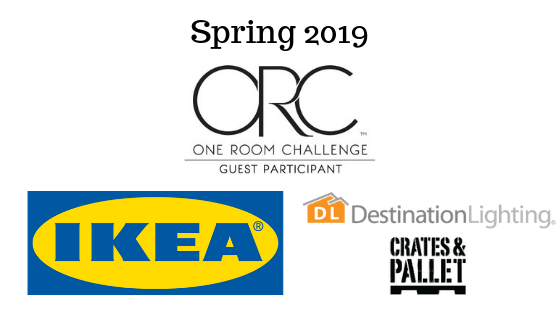 Make sure and follow along with other ORC spaces by seeing the featured designers here and more guest participant rooms here.